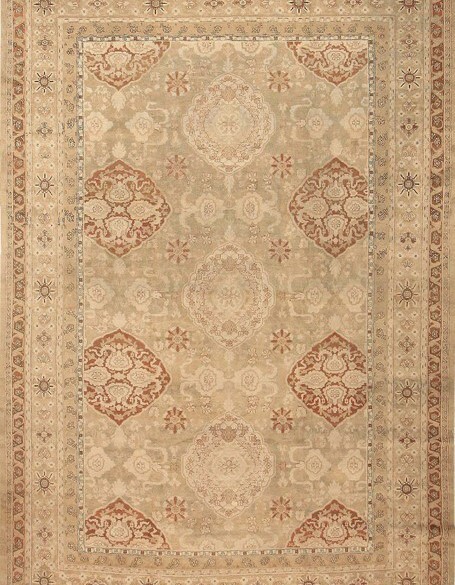 THE EUROPEAN RUG - Influenced by the oriental culture, French rugs became a central piece in rug history. European rugs, first woven thousands of years ago, can historically be divided into two distinct traditions. The first descend from native European forms—mainly the large flat-weave tapestries created for the medieval church and monarchy—and were developed primarily in the rug-making centers of Spain and Northern Europe. The second descend from an international rug-making tradition—the beautifully elaborate piled carpets of the East—and these were imported to Europe from rug-making centers in Turkey, Persia, and central Asia. The Eastern-inspired European carpets were first developed in the late medieval period, but reached new heights of construction and design during the 18th century; at that time, they evolved from beautiful copies into singularly European expressions of the form. 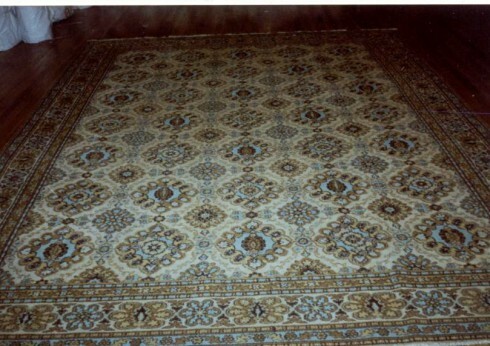 The first of the native European carpets are the Spanish carpets of the early medieval period. Based on native Iberian design, the first evidence of their construction dates to as early as the 10th century AD. By the mid 15th century, Spain was producing some of Europe’s finest, and still most highly-valued tapestry and knotted carpets of native design. French carpets date to the early 17th century, and draw instead on international forms. 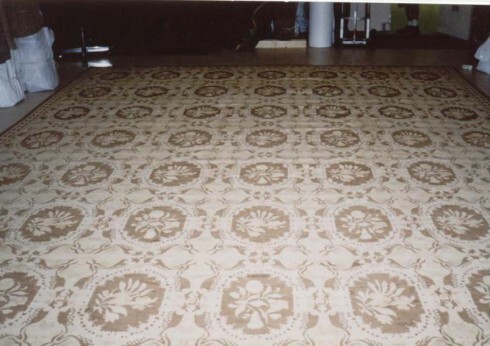 The French created highly sophisticated workshop carpets, most famously at the Savonnerie workshop of Paris, which produced early rugs for Louis XIV. The development of the Savonnerie carpets represented a major leap forward in the eloquence of Persian-inspired European carpet design. The rugs employed an incredible, luxuriously dense pile to create new designs that represented a unique synthesis of European pictorial art and classical Persian motifs. France would give rise to a number of excellent later workshops operating in the same tradition, including the Beauvais manufactory of the late 18th century. England, too, developed its own carpet-making tradition, roughly on the same time scale. Like France, it drew on international design, though the English carpets do have a native European inspiration as their guiding aesthetic. In fact, England’s tradition was likely imported by Flemish Calvinist immigrants fleeing religious persecution in Northern Europe. They drew heavily on Parisian, Iberian, and Northern European motifs as models for their “English” designs when they set up some of the first dedicated carpet-making workshops in the country’s history. Many of the English-Flemish workshops are still known by name today. They are Exeter, Axminster, and Moorfields among others who came to define the English form. A footnote from the competitive history of the art: many staffers of the English manufactories were rogue ex-staffers of the Savonnerie manufactory in Paris. Typically monumental in scale, and of incredibly fine detail and weave, classic European piled carpets have always needed many skilled artisans, as well as massive investments to even exist. Therefore, a key point to be made about their history is they have always been city, as opposed to rural rugs. 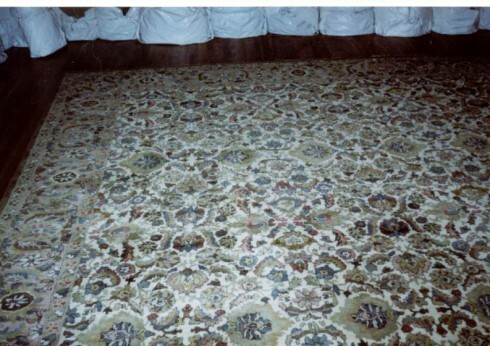 They did not descend from tribal or village traditions, as did the carpets of Persia, Turkey, and Central Asia. Instead, they were, even in their early history, the official art of the state and church. Understandably, European carpets stand today as some of the most highly valued grand-scale antiques on the market.